One week after the historic Brexit referendum, the market – and investors – are struggling to understand the consequences of the “Leave” vote. 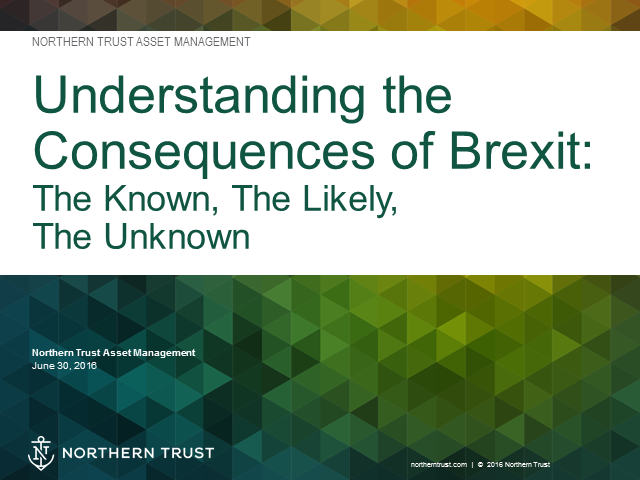 Join us as Bob Browne, Northern Trust Chief Investment Officer, and our team of investment experts examine the known, likely and unknown consequences of the vote – and, more importantly, discuss the implications for investors. Bob Browne, Northern Trust Chief Investment Officer. Presented by: Bob Browne, Northern Trust Chief Investment Officer.